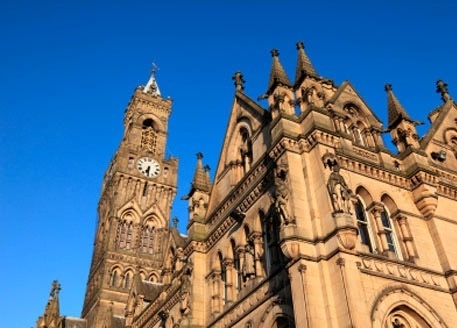 Bradford is a traditional industrial city located in the North West and as with many locations in the North West, it is leaving behind its industrial heritage and is evolving into a multicultural city, consisting of a large number of diverse nationalities. The University of Bradford is a new age university that is beginning to gather momentum when it comes to popularity and it currently houses almost 14,000 students of which almost a quarter are international students. The University has been redeveloped in recent years to bring it up to speed with the modern age and this has attracted more students, with numbers reaching record levels. It has now become one of the most well-known universities in the North so investors should now be considering student property investment in Bolton. The university attracts large numbers of students who study sport, health, sciences and computing and this is helping the University to grow and improve and is likely to continue for the foreseeable future. Students have an excellent chance to learn and prosper through studying at Bradford University and backed by the history and industrial heritage that the city offers, it is fast becoming one of the more popular student destinations in the North West. The large choice of courses and easy access has granted students the possibility to gain excellent qualifications. In recent years, Bradford has undergone a huge regeneration project that has turned the city into a vibrant place. Shops, transport links, bars and restaurants all help to give the city a real identity and this in turn appeals to students and their social lives. Bradford is aiming high and it wants to put itself back on the map which will only have a positive effect on the attracting students to study in the area. The new transport links will appeal to those students who will look to rent private accommodation but it will also make it possible for them to have an active social life. For those who are interested in student property investment in Bradford, the growth of Bradford University will provide encouraging signs that this is an area with high investment potential. With more and more students looking to rent privately and student numbers increasing, the demand is far higher than supply which makes this an excellent time to invest whilst also being the perfect location. Students want high quality accommodation with great facilities just like Arkwright House and there is a real requirement for more of the same. Investing in Bradford requires investors to choose the right locations so that students have easy access to everything they need. 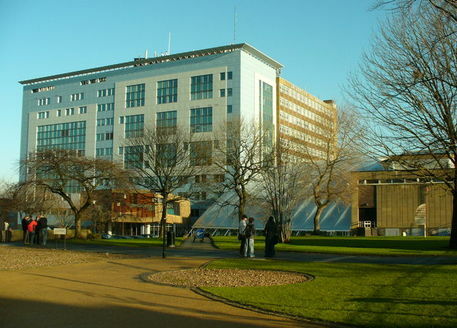 The University of Bradford is the only centre of higher education learning in the city of Bradford, which is located in in the north of England. Whilst the university only received its Royal Charter in 1966 and this is often the cited establishment date of the institution, the university can actually date its origins back to 1832 when a Mechanics Institute was founded in the city. The precursor to the University of Bradford, Bradford Institute of Technology, paved the way for heavy investment into the establishment which led to construction of further buildings and eventually the Royal Charter. Arguably the most famous person associated with the university was its first chancellor, Prime Minister Harold Wilson. Other graduates of the University of Bradford include BBC journalist John Pienaar, WHSmith CEO Kate Swann and Defence Minister Ann Taylor. Spread across two campuses, both bases of the university are situated within easy reach of Bradford city centre. The City Campus is the larger of the two and is found less than a mile west of the city centre, whilst the 'greener' School of Management campus is around two miles from the centre. Both campuses are within easy reach of the M606 and M62 motorway networks, which connect with the M1 and M6 to link students to other large UK cities with ease. The main campus is just a 20 minute walk from Bradford's main railway station and also enjoys excellent bus links. The nearest airport, Leeds Bradford International, is also nearby; within 6 miles of the city centre. Whilst Bradford may not be the largest of cities in the area, the much bigger Leeds is only around a 20 minute journey by train; and both Manchester and Liverpool are within a 90 minute drive. The University of Bradford is home to some 13,000 to 14,000 students at any given time. Made up primarily of young students, the ratio is normally around 10,000 undergraduates to 3,000 postgraduates. 2010 saw one of the university's highest application rates in which over 14,000 candidates applied for a total of around 3,500 places. More than 110 countries are represented within the student population, which is made up of around 20% international students. Around 83% of all those who attend the University of Bradford will complete their degree, with over half of those graduating with a 2:1 or First Class honours. Bradford has been classified as one of the cheapest places in the UK to live for students, making it an excellent opportunity for student housing investment in the local area. The University of Bradford is famous for being the first institution to offer Peace Studies, a course sponsored by the Quakers and the only course of its kind in the country for a long time. Active in research in a diverse range of subjects such as Healthcare, Management and Engineering; the university performs best in medicinal fields such as Ophthalmics and Physiotherapy.